Hurricane Isaac put a little water in the Caddo, just enough to bring the gage up to 5.08 for our outing. We scraped a little here and there as we enjoyed the hot September sunshine. Two new Class II+ creeks in southwest Arkansas may get enough rain in the next few days to allow what may be a first descent on each. One has a gradient of 78 feet per mile and is two miles long; the other is five miles long with a gradient that averages 30 feet per mile; photos at http://sports.webshots.com/album/582227587TxnNkI. The second one should offer uncountable number of surfing opportunities; photos at http://sports.webshots.com/album/582339133yRUGYx. Let me know if you want to take part in the adventure. The rain didn’t fall on either of the new Class II+ streams, but the radar summary showed a narrow strip of Arkansas received more than four inches overnight on Thursday, 3/8/12. That strip of heavy precipitation included the drainage basin of Bayou Des Arc, a small Class II+ creek near Romance in White County. The water ran down fast, but the creek still offered plenty of fun on Saturday morning. Check out the Bayou Des Arc page for more information on the creek. We had no swimmers, just a few close calls. This was my first time to paddle after a long layoff; my low brace muscles were sore on Sunday! 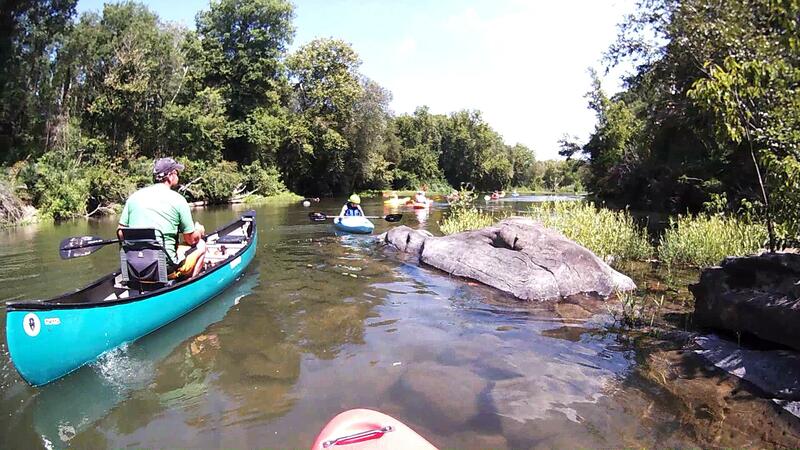 This creek requires basic boat control and the ability to recognize a tree hazard. We encountered several fallen trees that had to be portaged (the slender paddlers were able to slide under some that stopped the rest of us). One such portage was needed just downstream of an area that had obvious tornado damage – tree tops twisted and laid over, probably from the April tornado last year that went through Vilonia. Trees were laid down in large numbers such that the portage around a blocked chute was quite challenging. The scenery was really nice on the upper half of the six mile run. We joked about the “darn pools” between the rapids, pools that took three or four strokes to traverse. It’s that continuous! My first trip down this creek was at slightly higher water, when there were leaves on the trees. The reduced visibility on that outing made us portage a time or two for safety; I much prefer the run with the leaves off. Maybe the next rain will fall on the new Class II+ creeks; can’t wait to try them out. photos available for this moderately small creek; suitable for open boat. I will be watching the radar to determine if enough rain falls in the right places. Let me know if you want to get in on any of these. Full data will be published after the first(?) descent. I haven’t been living right again and have tweaked my back into a painful state. I’m going to have to cancel the Saturday, 1/14/12, outing on the Illinois Bayou. I hope to be able to reschedule it before too long. It looks like Saturday is going to be a perfect day for paddling the run for those who are able. The Highway 164 access to the Illinois Bayou just north of Scottsville has been rebuilt as part of the project to replace the bridge over the Bayou. The State Highway Department agreed to maintain access to the Bayou after they received a request from the public. I have thoroughly enjoyed the 10 mile Class 2 paddle from the Highway 27 bridge at Hector down to this spot. I am tentatively planning to paddle this section of the Bayou on Saturday, 1/14/12, meeting at the Highway 27 bridge just north of Hector at 10:00 a.m. to unload and drive cars (shuttle) to the new access on Highway 164. I’ll need some company in order to be able to make the trip. Post if you are interested in joining in. 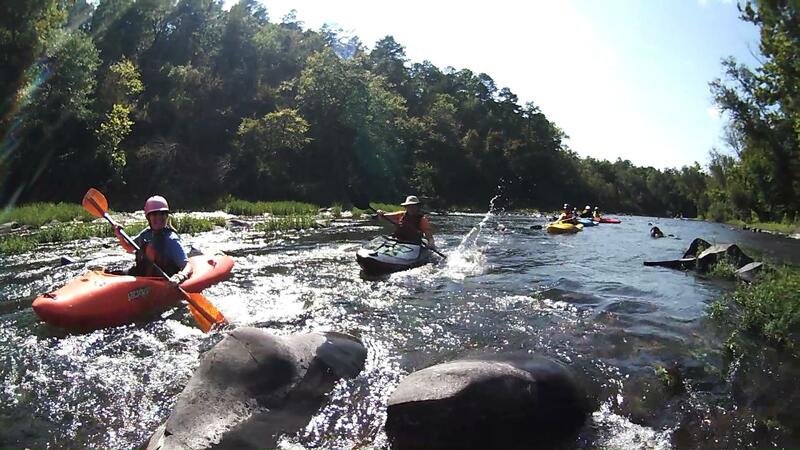 Welcome to Class 2 Arkansas, a site dedicated to paddling kayaks and canoes on the streams and rivers of Arkansas. No giant waterfall plunges, no death-defying runs on super steep creeks, no trips on whitewater during flood events, just paddling entertainment for the average person. The site is under construction by a total beginner to website setup, so bear with me. What will be here in the future? It will be aimed at people with their own boats and some paddling experience. 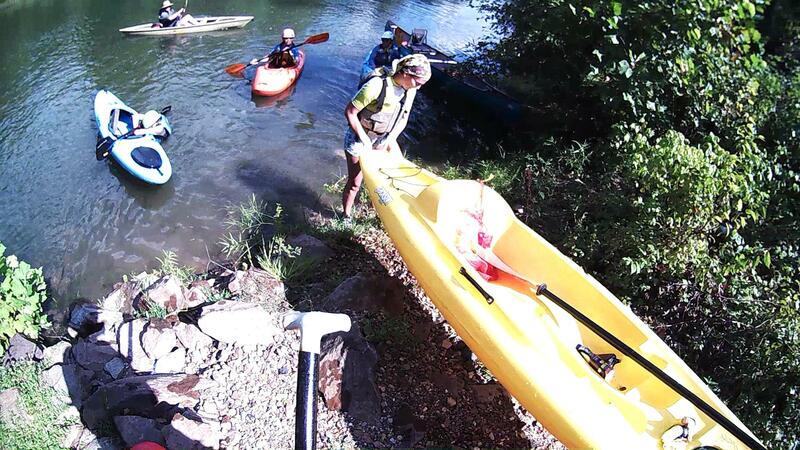 Beginning paddlers with their own boats and gear should find the site useful, also. Check back again!